Netflix Selection: Umbrella Academy and Russian Doll. The digital streaming behemoth has had a great start to the year. After producing some dubious figures and some questionable stats about the viewing figures of a number of shows, Netflix has come good again with a selection of Originals, their own personally funded and produced shows, and new additions from established artists. 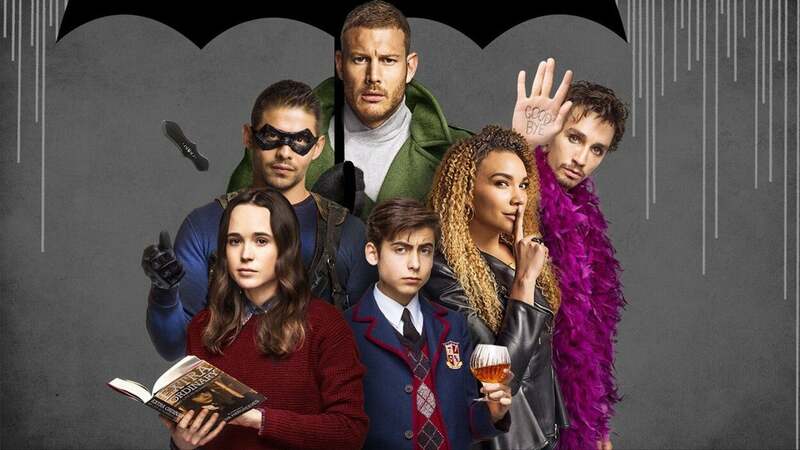 The first of these shows that I watched was Umbrella Academy. Revolving around a group of unwilling superheroes who were plucked from their mothers at birth by the eccentric and mean Sir Reginald Hargreeves, the story centres on the apocalypse and how life, or the end of all life, pulls you back to the ones you are closest with; in this case, your superhero brothers and sisters. I really enjoyed this show. 10 episodes at 55 mins approx. each might seem like a lot but it flowed easily enough. There was a spot around episodes 6, 7 and 8 that dragged a bit but the end of the 8th episode and the final two installments are superb. Robert Sheehan plays Klaus, one of the troubled supers, almost like a supercharged Nathan from Misfits. He is so effortlessly funny, flighty and camp while also developing as a character throughout the season. Although his accent doesn’t stay true the entire time, much like his role as Darren in Love/Hate, he still steals the show for me. Aidan Gallagher as Number Five was also a joy to watch, as was Mary J. Blige as one part of a fiersome hitman team out to get Five. Colm Feore’s turn as the madcap billionaire was fun to watch in flashback scenes, even if you did feel for the neglected heroes. I’d definitely recommend this show to most people and would urge you to power through the mid season lag. Another show that deals with the marching of time and also the reset, is Russian Doll. Natasha Lyonne stars and produces in this show about Nadia, a thirty-something New Yorker who spends her nights drinking, smoking and doing whatever she wants. It is her birthday, and after going home with a smooth talker, she gets knocked down while running across the street for her cat. In the blink of an eye she is back up at her party the night before while all the other guests carry on as normal. Nadia thinks she is on her own until she meets Alan in a hurtling elevator shaft before impending death. He reveals he has the same affliction; they both die and reset to the same point in their lives. The two go on to try and solve their problem, learning some dark truths about each other and themselves along the way. 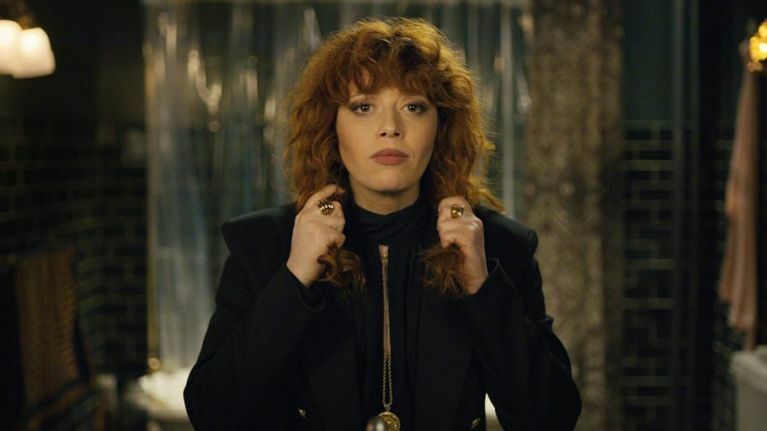 Lyonne is fantastic as the witty, clever and self-sabotaging Nadia, still suffering from her mother’s abuses and struggling to see a happy ending. I haven’t watched OITNB but she is brilliant in this, playing the tough talking, streetwise New Yorker with ease. Charlie Barnett plays Alan, Nadia’s unfortunate companion in their horrible situation. He is the polar opposite to Nadia; he is clean, rigid and sticks to a schedule. He is also hiding some mental health issues and refuses to face them, prompting both to wonder why they are in this mess. Barnett comes alive when he shows real emotion and both Lyonne and he work well together. I enjoyed this show also, partly because it was set in New York and I got to live vicariously through the characters and remember my time there. A word of warning, though, is that the show gets incredibly dark in the last three episodes. The show is not for everyone. Tomorrow I will review Ricky Gervais’ After Life and the indie buddy-comedy Paddleton, starring Ray Romano and Mark Duplass. I thoroughly enjoyed umbrella academy too- glad you liked it! Great reviews!